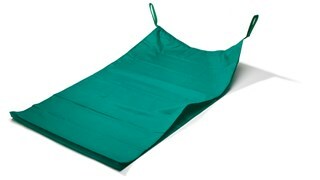 Immedia MultiGlide with handles is a tubular slide sheet with high friction on the outside and ultra low friction inside. It is suitable for all types of situations when there is a necessity to minimise friction under pressure points. 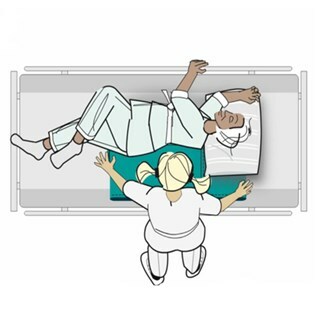 MultiGlide with handles is specifically designed to facilitate transfers up and down in bed, x-ray table or MT-scanner. It is easy to apply and remove, and should always be removed after use. The Immedia product is to minimize friction under the pressure points and for turning and positioning. 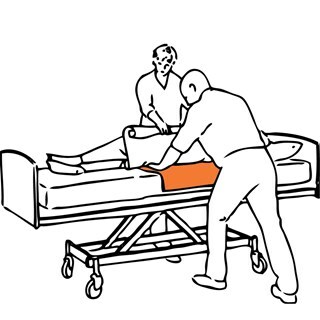 The Immedia product is used to minimise friction under pressure points and to move higher up in bed. 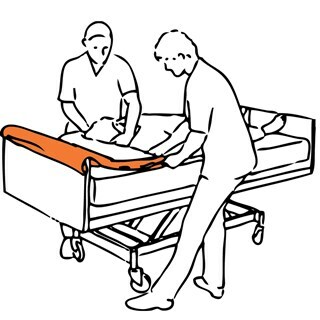 It also can be used to turn in bed, either independently or assisted.